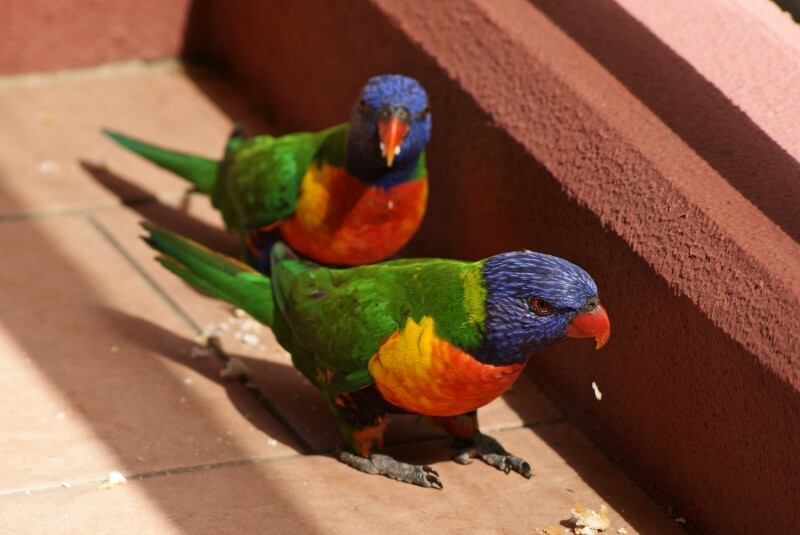 Rainbow Lorikeets are one of the most common parrots in Australia and a colourful sight in both urban and rural areas. 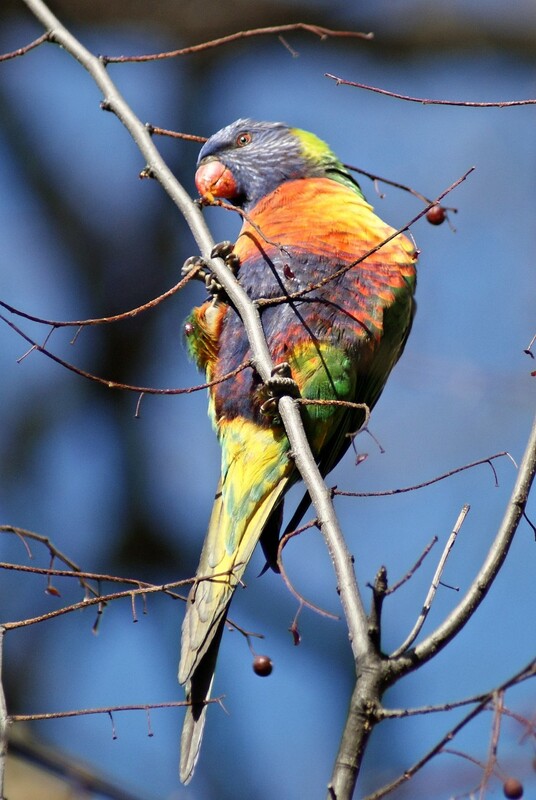 The occur down the eastern and southern parts of Australia (plus introductions into WA), being replaced in the north by the Red-collared Lorikeet, and also in indonesia, Papua New Guinea and other Pacific islands with previous subspecies now being considered full species. They eat a range of food, including nectar, pollen and fruit and have a specially adapted tongue for getting nectar out of flowers (much like in honeyeaters). They are large for lorikeets at 25-30 cm, making them larger than Musk Lorikeets, which they often associate with in large mixed flocks. 2: University of Adelaide, SA, 04.06.2012.